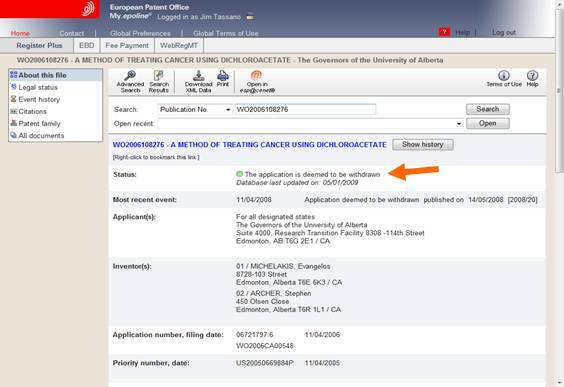 The Michelakis European DCA Patent application appears to have been withdrawn. I am told by a knowledgeable source "The conclusions were that it did not [meet] the standards of patentability and novelty because of previous publication." See below for reasons given.